If you don’t know Will Strohl, you are one of the lucky ones. He’s an annoying guy, a total lunatic when it comes to DotNetNuke, but even that can’t fix his flaws. You can however help fix one of the flaws of the “Mighty” Will Strohl. Will has a problem, he can’t afford collared shirts. Seriously. if you’ve ever met him you know this. Check out this public service announcement for Will. Now, here’s a challenge for you, two of them actually. 1) Bring your un-needed collared shirts (size XL) to DotNetNuke World in Orlando in Florida. Will needs them. Disclaimer: this video was generated out of necessity, check out the video that Will made for me a while back. So here we are at day 101, I have to keep going! Today’s blog is going to be to “correct” the blog posted last night. I used google voice transcription to post, and it didn’t exactly get what I wanted. First you should read the original post over here. So today I did some testing with UStream and the FM Audio Broadcast at the El Toro ProSolo. I think I managed to come up with a way to broadcast the announce stream out on the internet (audio only) using UStream. This is completely unofficial, and if it goes down it goes down, no promises that it will work! Between the live audio and http://sololive.scca.com you might be able to feel like you are actually in El Toro being miles away! The event is supposed to start at 9am, we’ll see how things work out. For those of you who have known me for a while this won’t come as a surprise. I suffer from Automotive ADHD (attention deficit hyperactive disorder), and it is just getting worse! oyNatalie and I are in car shopping mode, we’re looking to downsize from our 2008 F250 FX4, while we love the truck, it is just far too big for our lives in California. We recently sold our horse trailer that we had been trying to sell for a while now. Now that the trailer is gone, we are ready to part with the truck. So we’re looking at what to get. Natalie would like a 4 door wagon, with room for a stroller (or the dogs) in the back, the baby in the back seat, and us up front. We’re thinking that we would like to find a used BMW 5 series to fill that role, though figuring out what year/mileage is something we haven’t decided yet. One thought we are having is that perhaps it might be a good idea to trade the Z in on a 4 door car for myself as well. I test drove a 2011 Mitsubishi Evolution today, oh boy, daddy like! I wouldn’t buy a new Evo, they are far too costly, but I would considering getting a used one and then perhaps an older (2000-2003) 5-series for Natalie. I went to check out a couple of used 2008 Evo’s at a dealer down in San Jose today but immediately noticed that they were both modified, which totally turns me off. I don’t want to get into a modified car again, I’d rather buy something that is completely stock and if I want to modifiy it do it myself. So we’ll see where this bout with my latest batch of AADHD takes us. Don’t believe me that I have a problem? Here’s a list of the cars I and Natalie have owned over the past 5 years. So last year, shortly after I moved from St. Louis to Denver, I went back to St. Louis to present at the 2nd St. Louis Day of .Net. Now, having moved from Colorado to California I’m headed back to St. Louis again. 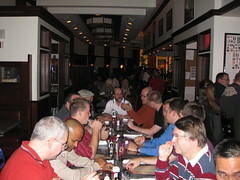 Once again presenting at the St. Louis Day of .Net, August 20-21, 2010. I will be presenting my crowd favorite DotNetNuke Best Practices session, the same one, possibly tweaked a bit, I delivered in Toronto in May. This session always seems to go over well with DNN people, old and new alike. There are a few other “big name” DotNetNuke speakers who are also rumored to be attending and submitting sessions for this year’s Day of .Net. They are still taking speaker submissions (deadline unknown? ), so if you want to present a DotNetNuke session be sure to get your submissions in quick! If you aren’t up for speaking at the event you can still attend! What good are speakers if there is no audience? Get working on your boss/employer now, start the thought process of getting them to pay for the event. At the $125 price you are going to see a plethora of great sessions about DotNetNuke and other great topics. If you can get away from work for the event (it’s actually a two day event) I highly encourage you to check out the St. Louis Day of .Net. So the big scary electrical gremlins in the Audi were an easy fix. The ignition key gets stuck a little too far forward sometimes, so as long as everytime I start the car I turn the key back in the running position everything works fine! Yay for the easy fixes. I thought the car was burning oil, when we got it it was 2qts low, then yesterday the oil light came on so I threw some in quickly. Today I got the oil changed (for free with a coupon, score) and they did a minor inspection of the car, found an oil leak. They want $220 to replace the oil pan gasket. Yeah right, I'm not spending that! I'll do it myself sometime soon. Also need to get that windshield replaced soon too, but I think I might try to last through winter. 9:18AM: I’ll be updating this blog post as I can throughout Shaun’s Keynote, so refresh the page to see if you have the latest info! Shaun’s Keynote starts in 45 minutes (10am PST) so I’ll come back at that time and start adding content as he spits it out. From here I’m not posting “times” from the post, but everything is in order. Investors AugustCapital and Sierra Ventures, Series A financing 11/08. Commercial Product: Needed to provide support to business customers. PE is CE with value added wrapper, support, and features. Acquisition of Snowcovered, Brice is up on Stage. Partnership with Telerik for use of controls, Rad Controls for ASP.NET Ajax. Rich Text Editors, Grid Controls, bundled with DNN 5.2, more UI overhauls will utilize more features in future releases. Integrating product and channel, PAAS, platform as a service. Provide a seemless way to integrate DNN and Snowcovered, within your DNN installs. Cloud infrastructure amazon and azure. So OpenForce 09 is starting up. Scott Guthrie (The Gu) is doing his ASP.NET 4.0/VS 2010 presentation, the main keynote for Tuesday morning here in Las Vegas. Most everyone got to Vegas yesterday and immediately those of us on Twitter started to locate each other and get together to say hello to old friends, meet new ones, and get some food! For those of you who have never been to the west coast, you may not have ever heard of In-N-Out Burger. It’s a chain, I believe all owned by the same family, primarily in California, though there are a few locations in Arizona, Nevada and one in Utah. I organized a gathering to head over to the one not far from the hotel Monday at noon. Unfortunately I spent Monday morning here in Vegas at a dentist due to some pain that started as soon as I got off the plane. The rest of the guys met up and caught a cab or two over to In-N-Out for lunch, I was able to catch a cab from the dentist and meet up with everyone who made it over there for lunch. I had a great time introducing everyone to the wonders of In-n-Out, I’m not sure if they liked the food or not, but I sure did. I try to make it there at least once every time I come to Vegas for OpenForce. After that we walked back to the hotel, catching up on everyone’s happenings since the last time we were together. The rest of the afternoon was spent getting checked into the conference and locating people as they arrived for the week. I don’t know how many people are actually registered for the DNN side of the conference but most of my friends are here, so I’m enjoying the people. That is why I actually love the conferences, the people, catching up, meeting new, and just geeking out over things with everyone else. Monday night some of us met up and went to Burger Bar for dinner. If you want to see what everyone is doing this week be sure to check out Twitter, you can search for the hash tag #OpenForce as a lot of us are tweeting about events and such. Shaun’s keynote starts at 10am PST, so I’ll try to blog again during/after that session to let people know about all the new announcements! Stay tuned for some cool things. Also be sure to check out our DNNVoice Podcast later tonight, I’m going to be doing audio blurbs from people here at OpenForce throughout the day and trying to get a short file uploaded each night. Not a full blown podcast like Tom and I try to do (somewhat frequently). We’ll see how the internet connection holds out for that as well! So this weekend was the first weekend with the car, lots of effort put into it, 250 miles driven today, and lots of Gremlins found! So let's start in order. Friday afternoon Natalie and I headed down to the DMV to get the title and registration taken care of on the Audi, we also hoped to take care of our licenses as well. First thing we figure out when we walk in the door is that you can't do your license and registration in the same place. What? Colorado, hello, what's the deal? (we learned why later). So here we are, a new domain, a new project and a new car! This car, while a "project" isn't a project like that other car is. Since we moved to Colorado we figured it would be a good idea if we had AWD/4wd vehicles, so we sold our 2004 F350 and traded in our 2004 GMC Envoy for a 2008 F250 FX4 last week. That put us down to a one (running) vehicle family, I couldn't take it! I'd been looking around for a while for another ride and came across this Audi not even 5 minutes from our house. It's got just under 130k miles. With the success last night I decided I had to work on the car this evening a bit. The first thing I did was get it up on all four jack stands so that they were under the frame and not under control arms of the car. This would allow me to begin working on the suspension pieces. When I got the car from Jeff, uhhh over three years ago now, it came with a second suspension that had been pulled off another car. This other suspension has springs (yellow), new(er) struts, a larger front sway bar, and also the addition of a rear sway bar. It also is a lot cleaner then the current suspension. So tonight I started pulling off the front suspension, starting with the sway bar, and moving on to removing the rest, at least what I could, of the right front. I got stuck at the tie rod, but I did manage to get most of the other bolts removed. I came to a conclusion though, I’m going to likely just drop the whole front suspension out, including the cross member as the second suspension has one as well. In order to do that though I am going to have to dismount the motor. I will attempt to do that by lifting the motor up off the mounts with the cherry picker, hopefully without having to disconnect the transmission and not removing the whole thing from the car. Before I do that though I will likely fully disassemble the other suspension and take it to a friend’s house to sandblast everything. I’m heading to Tampa for a conference tomorrow, so that will have to wait until the evenings next week. I’ll try to get everything disassembled during the week, both front and rear suspensions, and then probably go down to his place Saturday if he’ll be around. So tonight after work I came home to get the starter out of the car and took it back to Autozone, fortunately the lifetime warranty was honored! Though I did have to run off to the Autozone Hub to get the replacement starter. The guy at the hub was kind of lost, but he eventually got everything worked out and I headed home with the new (remanufactured) starter. So the last starter started off working, but after a few days just started spinning without engaging the flywheel, no grinding either. This one, once all wired up worked like a champ. I even got the car started up for a minute or so. I did all this without hooking up the computer, so I didn’t want to spend too much time keeping it running. So now was the time, time to hookup the laptop and get the video camera out and record the car actually running! Well I am proud to say it was successful, here’s the video below. So here’s the time lapse video from yesterday’s garage sale. No audio, so turn up your Zune software if you need music to go along with it, what, you don’t have a Zune? You should! What do you think? I think I need to get a power cord for the camera (if they make one) to prevent the times where I missed video because the battery ran out and I had to switch. Dave and I spent the day working on the Corvette. Here's what was accomplished drain the rear end and replace with Redline gear oil removed the rear Konis from the car and replace with the stock shocks drained the transmission and replaced with redline drained/replace oil and filter, both with Mobil 1 hack the stock radio to add a line in wash the car, clean off all of Dave's cone marks #5 and #6 were done by myself, Dave had left by then. #5 involved splicing into the CD input line and wiring up a minijack input, I actually wired this into the back of the radio, I thought it was ingenius, but I figured out the error in my ways. The jack I used was one that when nothing was plugged into it would allow the CD audio to pass through normally. When a line was plugged in the jack input is used and the CD Audio is bypassed. Anyone see the err of my ways? By mounting the jack in the back of the radio I effectively disabled the CD audio from working until the radio is removed and the minijack wire unplugged. This actually isn't a big deal for me, I never use the CD player anyways, and now I can listen to my Zune! Though I will most likely need to rewire or just unplug this before I sell the car, otherwise the next owner won't know WTF is going on. Now it's time for a http://shirt.woot.com party, I'm meeting some guys from the office there. Race on Sunday! So the CorvetteZ06.org Team took 9 runs today at the National Tour here in Bunker Hill Indiana. 2 out of those 9 runs were clean, the rest were DNFs and coned runs. Here's a quick overview of what I can remember Dave Run 1 (Cones) Run 2 (Cones) Run 3 (DNF Cones) Chris Run 1 (DNF Cones) Run 2 (Cone) fast enough for 5th or 6th if clean Run 3 (Cones) Beth Run 1 (Cones) Run 2 Run 3 I am sitting in 9th, Dave in 11th, Beth in 3rd in SSL. I've reviewed my video from Run #1, and I don't see anywhere that I DNF'd the course, I did spin through the finish and hit a cone or two, but it sure doesn't look like I left the course at anytime. Right now tomorrow for Dave and I is just for fun, to see how well we can do in the car after a bad Saturday. I've got video from all the runs today, though it looks like the audio didn't record, I will have to check that out in the morning to make sure we get audio of tomorrows runs. Natalie and I were planning on heading off tonight to see Indiana Jones, but ran into a wall. We both crashed and fell asleep after a long day. I woke up and now am getting caught up on a the Elite XC fight that I set to record tonight on CBS. This is a first for MMA as they have a national audience on network TV. It will be interesting to see what the response is. Chris Hammond, 5th place after day 1. Woulda been 4th in final trophy spot but had a cone call on the corner sheets that no one knew about till audit. Still not far back from 4th, 2 tenths maybe. Going out to dinner with the guy in 4th tonight, plan, get him wasted. As some of you may know, I have political aspirations sometime in my future. I don't know what, or how far I want to go, but I've always managed to keep myself clean and without skeletons in my closet so that I could ultimately run for office some day. The older I get the more I have this desire. Today I'm sitting here listening to CNN.com's audio feed of the Supreme Court's discussion of the ban on handguns in Washington DC. This is some interesting stuff. I'm a supporter of the Second Amendment and believe that it is everyone's right to own firearms. Listening to the discussion about the issue at hand is very interesting. I've honestly never listened to such a debate before, it leads me to think: I probably need to take some debate classes if I really want to pursue politics in the near future. DotNetNuke Daily Tip #11 7/20/06 Upgrade to DNN 4.3.3!